Nicole Latulippe is excited to bring her expertise in Indigenous knowledge, governance and laws to the University of Toronto – along with her experience with community-based research and advocacy. 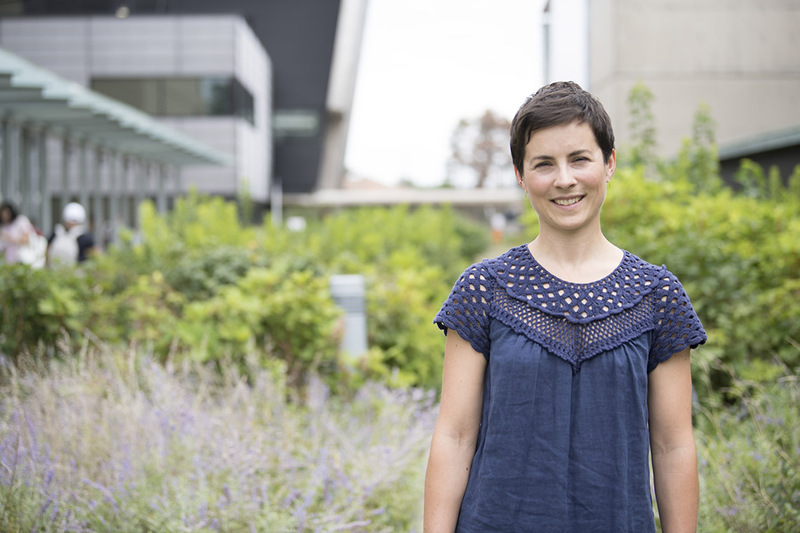 Latulippe is joining the departments of human geography and physical and environmental sciences at U of T Scarborough as an assistant professor. Last winter, she taught Indigenous Environmental Knowledges, a geography course. “It felt good to know that the department and students were excited and welcoming of the course,” she says. Latulippe, who has a PhD in geography from U of T, grew up in Nipissing Territory and is from Robinson Huron Treaty Territory in North Bay, Ont. She is of French-Canadian and Algonquin ancestry. After completing her master’s degree at Nipissing University, Latulippe worked for the Union of Ontario Indians, a political advocacy organization of the Anishinabek Nation that represents 40 Anishinabek communities around the Great Lakes in Ontario. After working with Anishinabek communities for the last 10 years, Latulippe says her research is driven by the people she has spoken with and learned from over the years. Latulippe collaborates with the York University-based Indigenous Environmental Justice Project – a platform for Indigenous activists, scholars and Elders to share information and to network. The project stresses the importance of understanding the environmental justice framework through Indigenous knowledge systems. Looking ahead, she’s continuing her research on Indigenous environments in Canada and is turning her PhD dissertation about the Nipissing First Nation fishery, and the community-derived law that governs it, into a book. She says she will continue her community involvement and bring those experiences back into her research, and ultimately, the classroom.